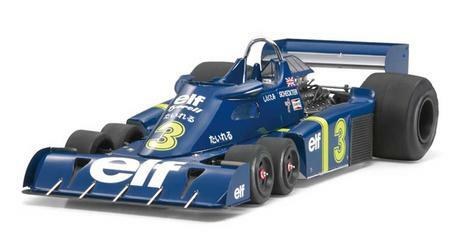 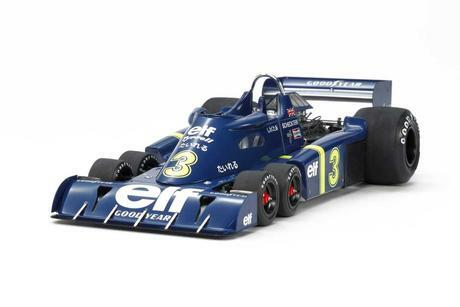 The Tyrrell P34 caused a sensation within the F1 world when it was unveiled in 1975. 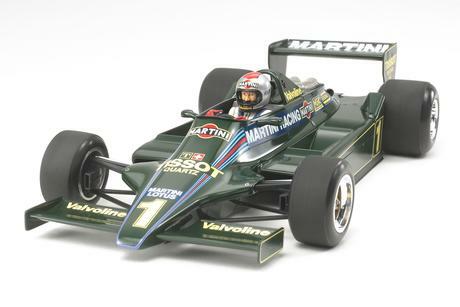 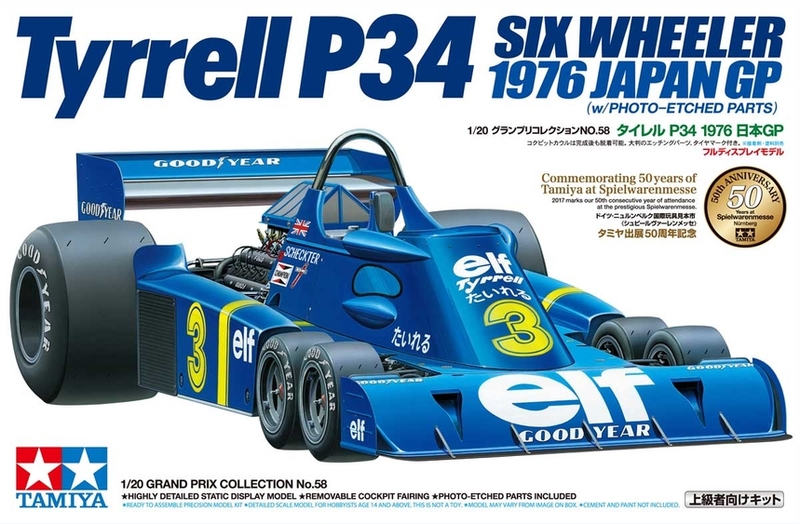 It sought to enhance braking and cornering performance by reducing the size of the drag-inducing front tires while preserving contact patch area through the use of 4 tires, thereby creating the only 6-wheeled machine in F1 history.The Tyrrell P34 appeared at the 1976 Japanese GP in an overall blue livery, with the car numbers and body side stripes in yellow and sponsor markings written in white. 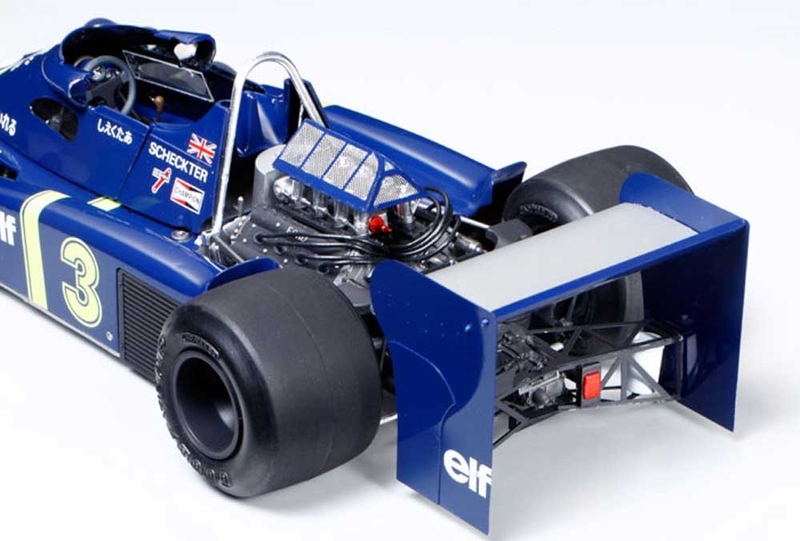 Team and driver names were also written in Japanese specifically for this race. 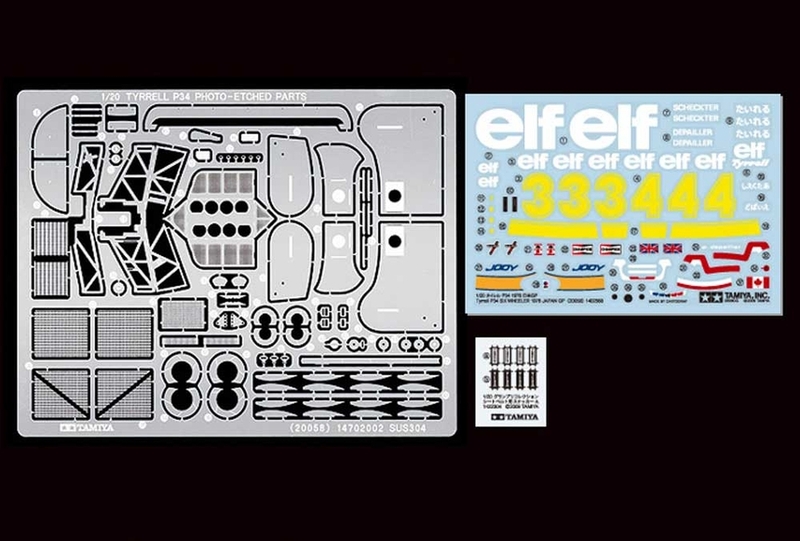 •	1/20 scale plastic model assembly kit. 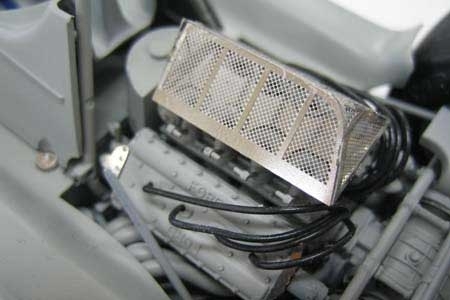 Length: 201mm, Width: 100mm. 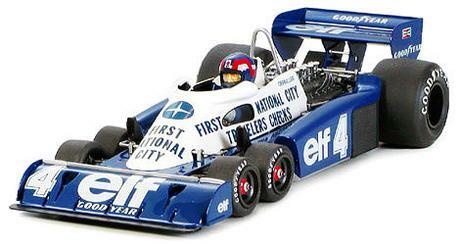 •	The distinctive form of the car with 4 front and 2 rear wheels has been faithfully reproduced. •	The highly detailed DFV engine features ignition cables. 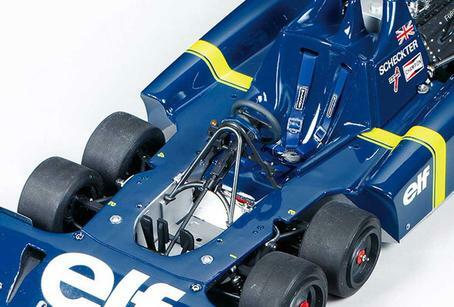 •	The unique front suspension has been accurately remodeled. 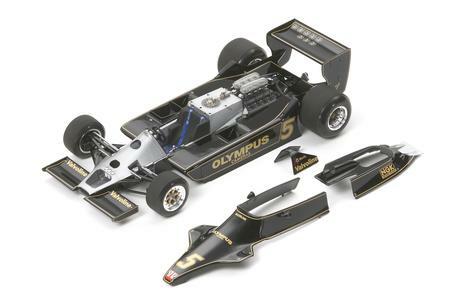 •	High-quality Cartograf markings included to depict both No.3 and No.4 cars. 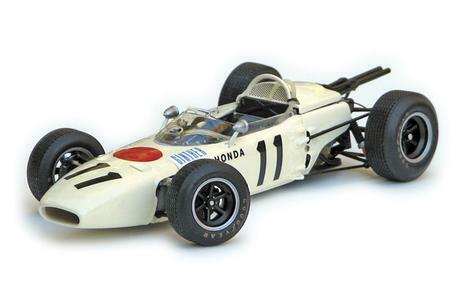 Also includes markings for team and driver names written in Japanese which was specific to the Japan GP. 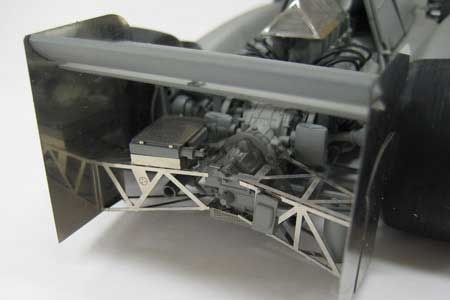 •	Photo-etched parts are included to depict details such as brake discs, triangular net guard on the air funnel, rear wing stays, large rear wing panel, and seatbelt buckles.